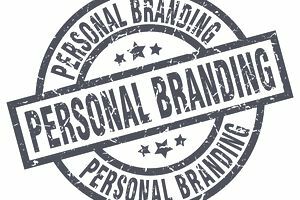 Personal branding is the process of developing a "mark" that is created around your name or your career. You use this "mark" to express and communicate your skills, personality, and values. Think about the characteristics and strengths you’ve built in your career. If you are stuck, think about that “one thing” that everyone says you rock at. If you're still stuck, ask others. Once you’ve identified your uniqueness and strengths, perfect them. Learn all that you can and become the expert in that area. You can never stop learning. Read, absorb, and teach. It’s not enough to learn it; you have to teach it and share your knowledge by helping others. Do this through videos, social media, and writing both online and offline. This is where you prove you know your stuff and gain exposure from doing so. It’s important to have a clear picture of your personal and professional goals, both short and long-term. This will help you to not only identify the most important things to spend your time on but will also have something to align new projects with. Use your values and priorities as a compass that guides you both in action and your decision-making process. This will ensure you stay on track.